I cannot take all the credit for this recipe as I used a marinade recipe that I found on Canadian Living Magazine website. Because the flat chicken came out so good I just had to share it here. I used a roasting chicken that was just over 3 pounds. It was very easy to flatten the chicken out. If you've never had chicken this way let me tell you that you'll want to try it as it cuts the roasting time in half. First start by whisking well all the following ingredients together in a 2 cup measuring cup, or a bowl if you prefer. Place the chicken breast down on your cutting surface. 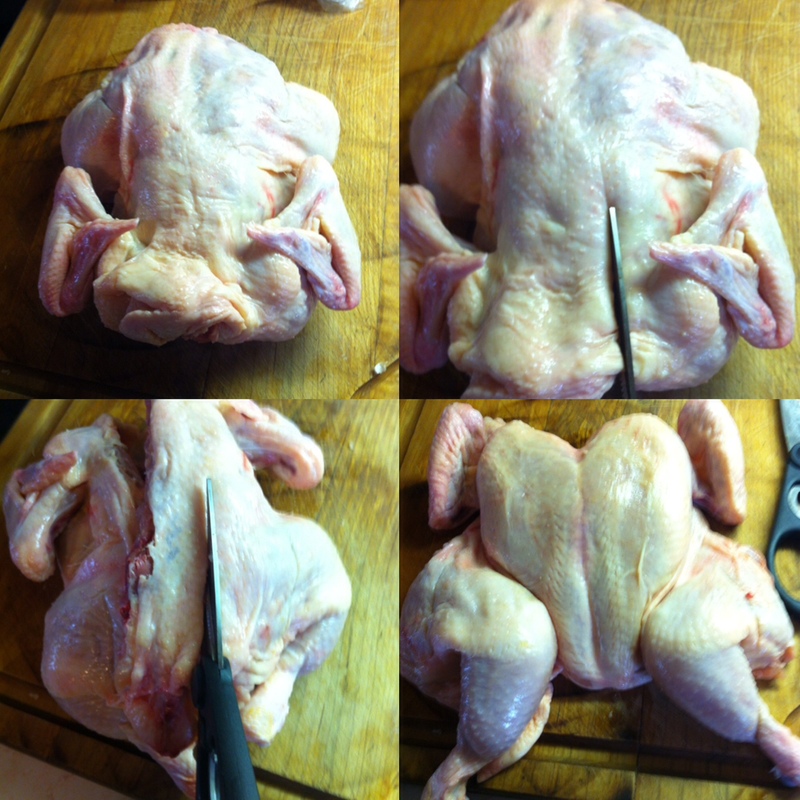 With sharp kitchen shears cut the chicken along the backbone. Do this on both sides and and remove the backbone. Press down firmly on the chicken to flatten. Next step is to marinate the chicken for at least 4 hours in the fridge. Place the chicken skin side down and pour 1/2 of the marinade onto the chicken covering the entire side. 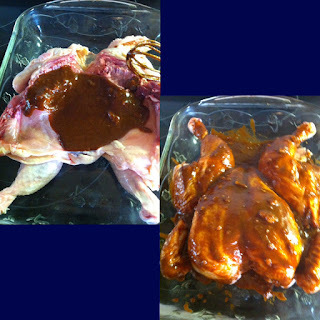 Flip the chicken over and pour the remaining marinade onto the chicken covering the flip side. Spray a roasting pan with cooking oil. Place the chicken in the roasting pan and into the oven for 40 - 45 minutes or until the chicken has reached and internal temperature of 165 degrees F.
Remove from the pan and let the chicken rest for 10 minutes before serving.